Tenor Roberto Alagna pulls out of Lohengrin. 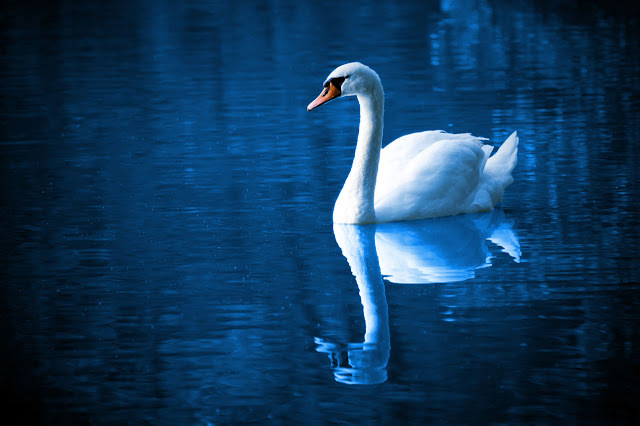 The next swan will not be arriving for Roberto Alagna, who is out of the new Bayreuth Lohengrin. In a breaking story from the Bayreuth Festival, tenor Roberto Alagna will not be singing the title role in the company's production of Lohengrin. His excuse: insufficient rehearsal. According to the official statement on the Bayreuth Festspieleblog: "Mr. Alagna has to cancel the new Lohengrin production because he was unable to rehearse the work sufficiently due to congestion." 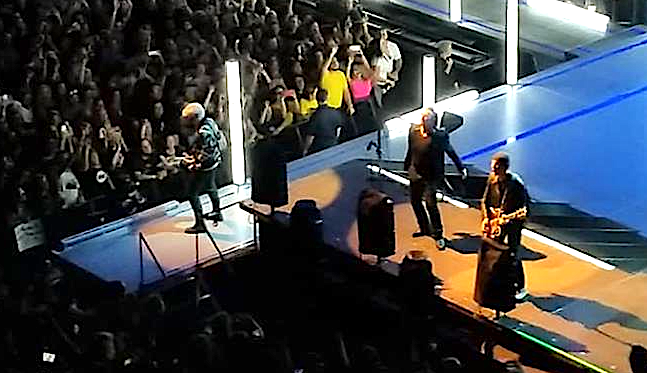 Photo by Susan Weinstein, who also got us the tickets. Some reflections on Beethoven, the Eroica and my summer vacation. 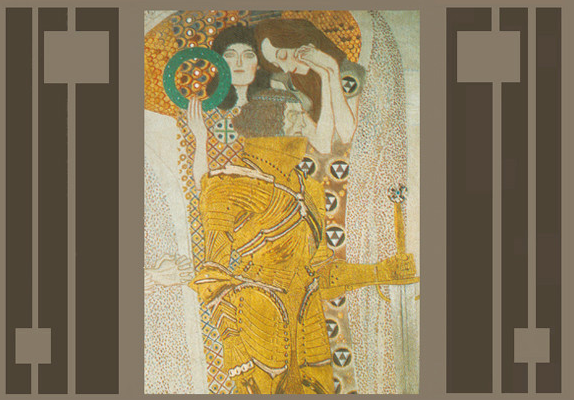 by Gustav Klimt as appears on the cover of the Beethoven Symphony No. 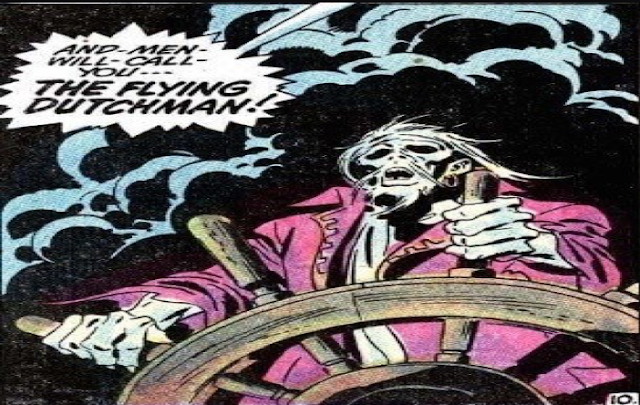 3 recording reviewed herein. Hi all. I'm back after a relaxing, grounding and enervating week in the woods of Northern Maryland. Today we are talking about Beethoven, and specifically a new to me recording of the Eroica Symphony which I am listening to as I type. This is an old (but new to me) recording of Beethoven's 'Eroica' Symphony, made in 1987 by the Vienna Philharmonic. No, that's not terribly "old" in a business with historic recordings that go back to the turn of the 20th century, but it is definitely the product of another time. The conductor is the late and brilliant Claudio Abbado, who would later record these same symphonies in his job as music director of the Berlin Philharmonic is the conductor here and there is much of interest in this performance. Bigger, Better, Faster, but still Mostly Mozart. When the time came for Lincoln Center to choose between its two signature summer festivals, there was no question: it was Mostly Mozart that had the brand recognition. For 51 years, this month-long festival held the stage at what is now David Geffen Hall, a haven of culture for New York music lovers who were unable or unwilling to leave the city in the summer months. 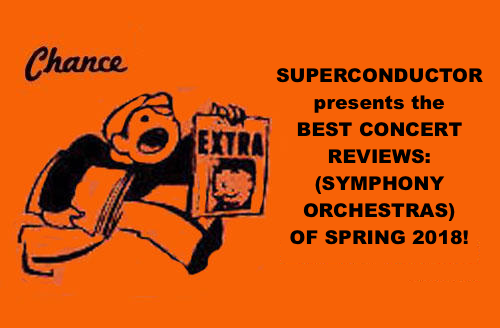 Superconductor breaks down the best recitals, performances and even a play. It's not all symphonies and operas. Here at Superconductor we also try to cover smaller and more intimate performances where you find see and hear some of the best music on offer in and around New York City. Here are the best of the spring season of 2018. Here's the best of the best from the second half of the season. Love, warfare, intrigue and oh yes, the pyramids. 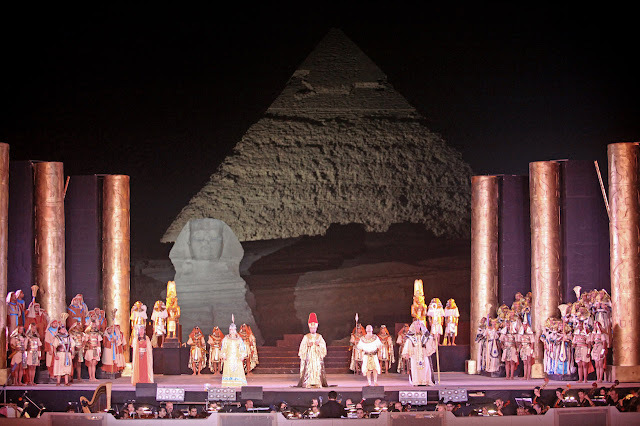 A performance of Aida in front of the Great Pyramid of Giza, March 2018. Throughout his career, Giuseppe Verdi was determined to follow in the footsteps of other Italian composers (most notably Rossini and Donizetti) and conquer the Parisian stage. However, his attempts at grand opera: Jerusalemme, Les vepres Sicilienes and Don Carlos were met with indifference. It was with Aida, set to an Italian libretto by Antonio Ghislanzoni that Verdi would incorporate the lessons of grand opera in a work that combines private anguish and public spectacle and still packs opera houses today. This was an incredibly busy and fascinating few months in the New York opera community. 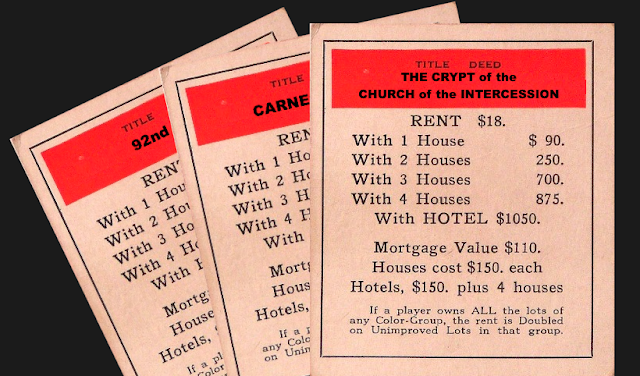 Big houses like the Met sailed forth with good efforts even as they found themselves in a swirling sea of scandal. The Prototype Festival had a strong showing, and a performance of Tristan und Isolde gave compelling reasons to travel to Cleveland, Ohio. Here's the best of 2018 so far. Concert Review: Look, No Hands! New York Polyphony closes out the 92nd St Y season. Geoffrey Williams, Steven Caldicott Wilson, Christopher Dylan Herbert and Craig Philips: New York Polyphony. Photo from the artists' website. The 92nd St. Y ended its music programming for the current and rapidly fading season last Friday, with a concert featuring the men of New York Polyphony in what the singers: Geoffrey Williams, Steven Caldicott Wilson, Christopher Dylan Herbert and Craig Philips, referred to as a rare hometown show. Kariné Poghosyan plays damned difficult stuff at Zankel Hall. Kariné Poghosyan in concert at Zankel Hall. Photo by Jonathan Levin. 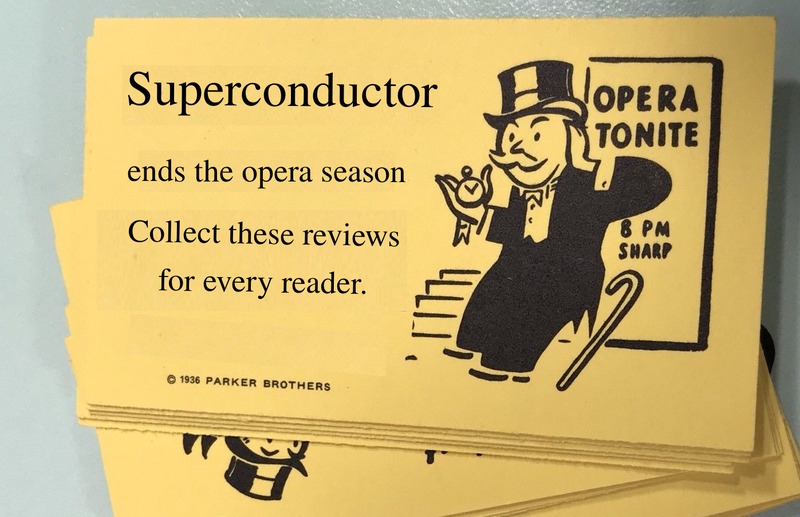 The season is winding down but there are still some extraordinary artists to be heard (and covered) in the pages of Superconductor. 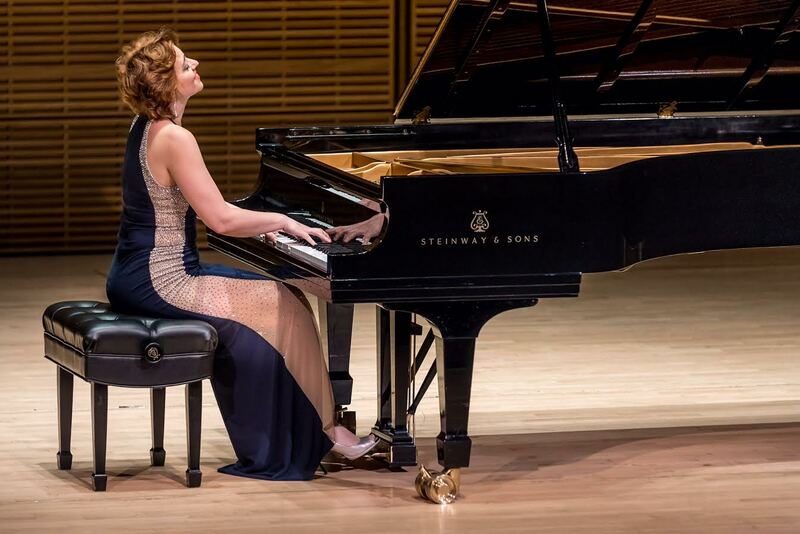 On Thursday night, it was the New York-based Armenian-born pianist Kariné Poghosyan, playing her first recital at Zankel Hall, the subterranean concert venue that sits underneath Carnegie Hall. MTT conducts the MET Orchestra in the Carnegie season closer. on Tuesday night. Photo © 2017 Nachtigall Artists. Carnegie Hall ended its 2017-18 season Tuesday night with the last of three concerts featuring the MET Orchestra. This year, the pit band at the Metropolitan Opera has been playing under a succession of different conductors. This one was conducted by Michael Tilson Thomas. The music director of the San Francisco Symphony, Mr. Thomas (or "MTT" as he is known to all) will serve next year as a Carnegie Hall Perspectives artist, and is scheduled to lead his California forces in the Opening Night concert on October 3. 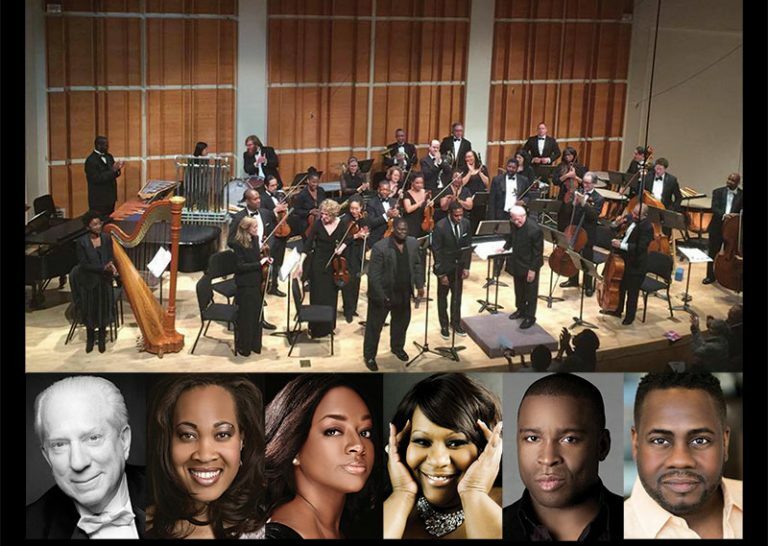 Harlem Chamber Players celebrate a decade with Harlem Songfest. 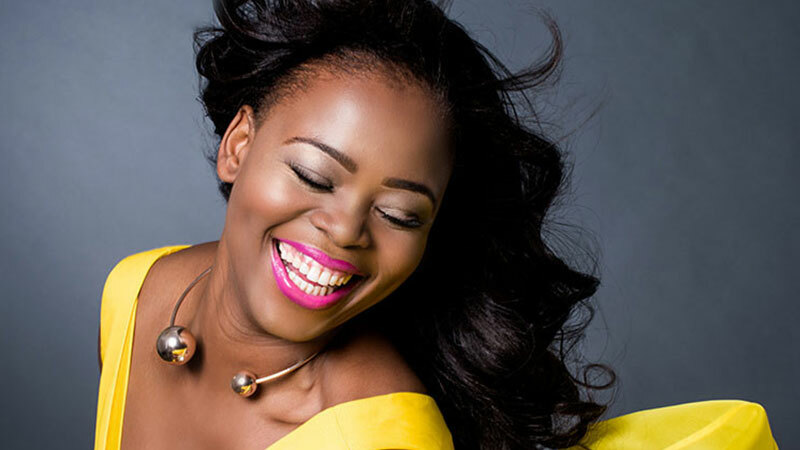 and five fine singers celebrated ten years of music at Miller Theater. It was billed as Harlem Songfest, but the season-ending tenth anniversary concert of the Harlem Chamber Players was more in the nature of an operatic gala: albeit one on a very modest scale. The celebration, a mix of Verdi, Mozart, Bizet and other operatic favorites was held at the Miller Theater on Friday evening, celebrating the good works of this excellent community orchestra that calls northern Manhattan its home. 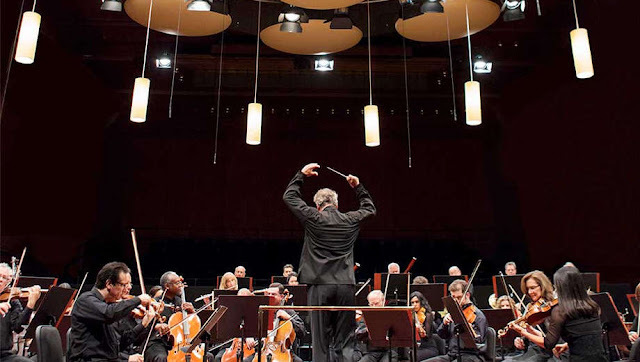 The New York Philharmonic ends its season without a conductor....without a conductor. 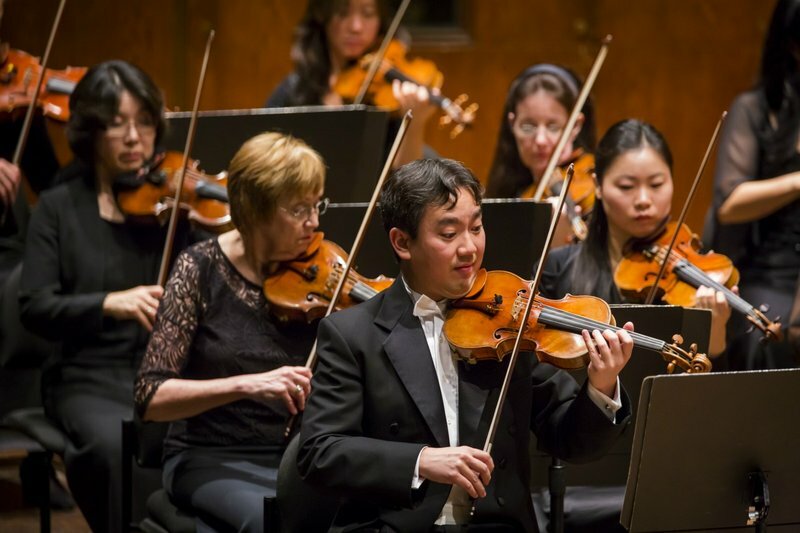 Concertmaster Frank Huang (center) led the New York Philharmonic this week. Things are settling down at America’s oldest orchestra. Alan Gilbert left the New York Philharmonic a year ago. Jaap van Zweden arrives in a cloud of hullabaloo next September. That said, this particular review, of Friday's matinee performance of their last program of this current season was played without a conductor. This program of string pieces by Mozart and Tchaikovsky had no tuxedo-clad maestro, and there was no post-heroic beating of air with tiny sticks. 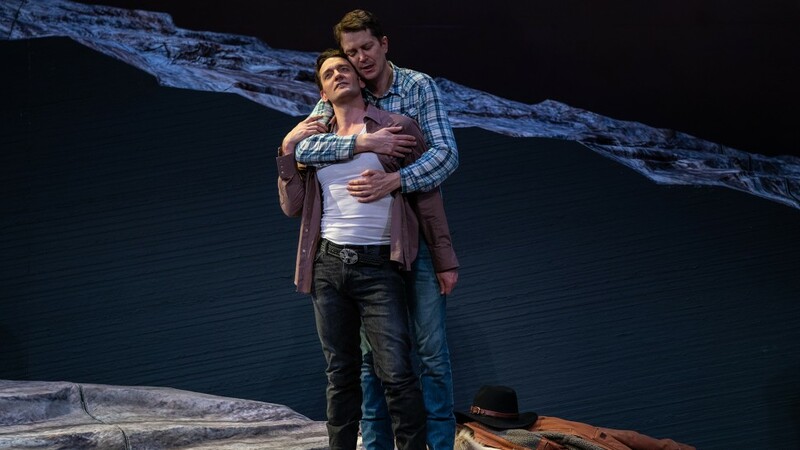 The New York City Opera climbs Brokeback Mountain. Save a horse: Daniel Oklutich (right) embraces Glenn Seven Allen in a scene from Brokeback Mountain. Ten years ago, New York City Opera commissioned composer Charles Wuorinen to write an opera based on Anne Proulx' short story Brokeback Mountain, which had been made into a much-lauded film by Ang Lee just three years before. That version of City Opera failed and folded, and the opera premiered in Madrid in 2014. On Thursday night, Mr. Wuorinen's Brokeback Mountain (with a libretto by Ms. Proulx) finally had its North American premiere at Lincoln Center's Rose Theater, mounted by the new New York City Opera run by impresario Michael Capasso.